Features natural gold, white and grays backed by mesh for easy installation. Golden White Mesh Random 2.75 Sft Quartzite tile features natural gold, white and grays backed by mesh for easy installation. This inter-locking quartzite is recommended for interior and exterior features including landscaping applications in areas without freezing temperatures. 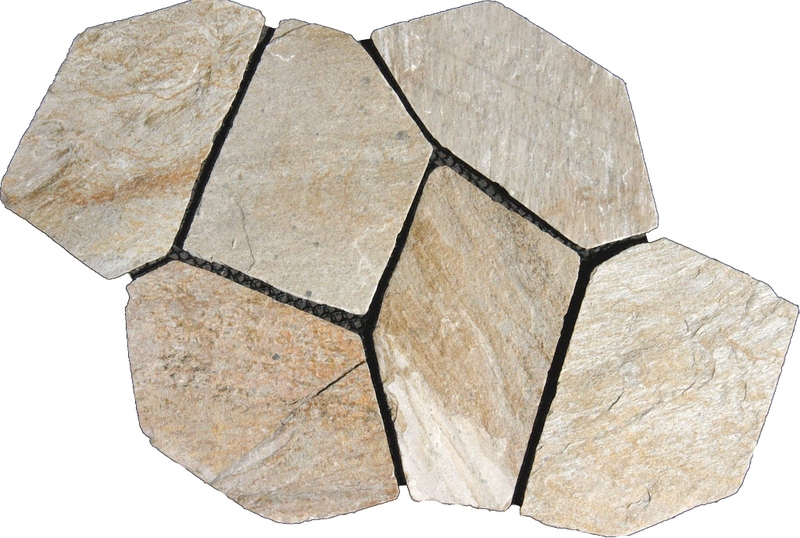 saves labor, you dont have to waste time with thick jagged flagstone. easy to cut along endges or steps. works great on walls too.